Hey Rebels! Today we are bringing you a throwback episode and one of our faves. We can’t thank you enough for your continued support of our podcast! 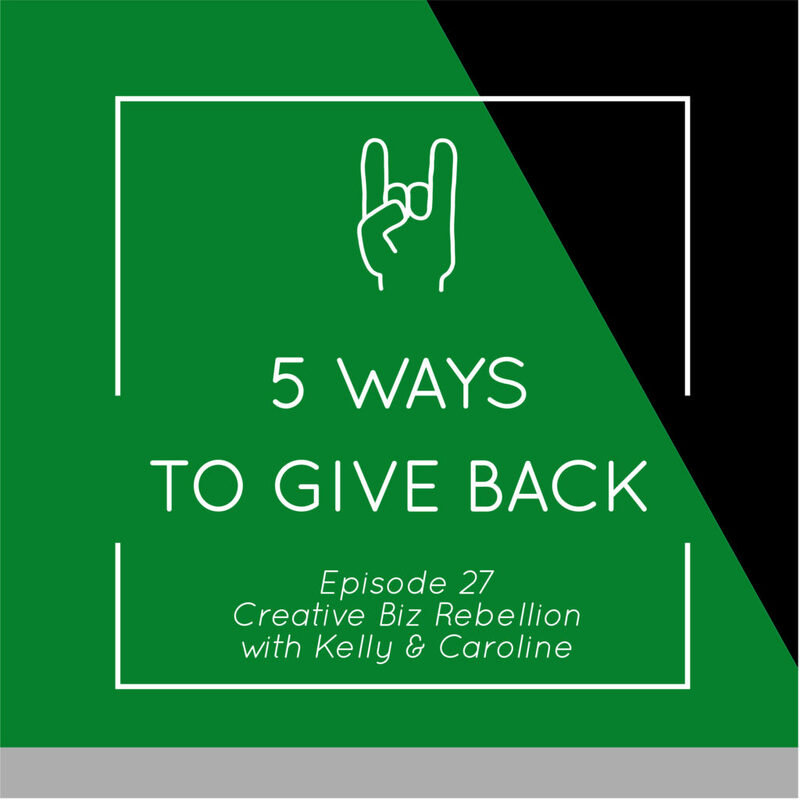 In this episode Caroline and Kelly talk all about the importance of giving back. This is actually how Caroline and Kelly met! Kelly and Caroline talk about how important giving back is to them and their biz. Kelly wanted to continue her love and passion for teaching. By giving to Pencils of Promise each month she is working towards building a school! Caroline continues her passion by giving to a non profit organizations. Her inner hippy came out after her Colorado trip. After her trip she decided to use recycled paper and products for her biz and she wanted to plant trees. Now her donations go toward an organization that plants trees and educates people for “green jobs.” There is also an option of adding planting a tree at checkout when you shop with Caroline! Follow us on instagram (Creative Biz Rebellions) and interact with us for a shop shout out!!! Click on the link and then click on “view in iTunes” to leave us a review. We give you all the virtual fist bumps. Thank you! Merry Christmas and Happy Holidays from your Rebels!